Access funds before they are earned with cash flow financing. Our flexible asset finance solutions enable your business to purchase or refinance equipment such as commercial vehicles, office furniture, hardware, construction or plant machinery. 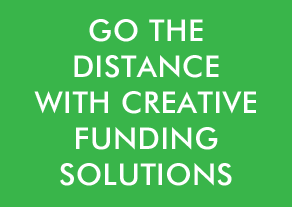 Creative is one of the UK’s leading suppliers of business funding solutions. We offer flexible funding options including asset leasing, financing, refinancing as well as commercial mortgages, loans and finance; enabling you to secure assets, generate cash flow and grow your business. Our account managers help you establish the best financial solution for your business. Choose from fixed or variable interest rates to suit your needs.